During the month of February, Westview Elementary is partnering with Polywood Recycling Center in Syracuse, IN to promote the recycling of milk jugs. 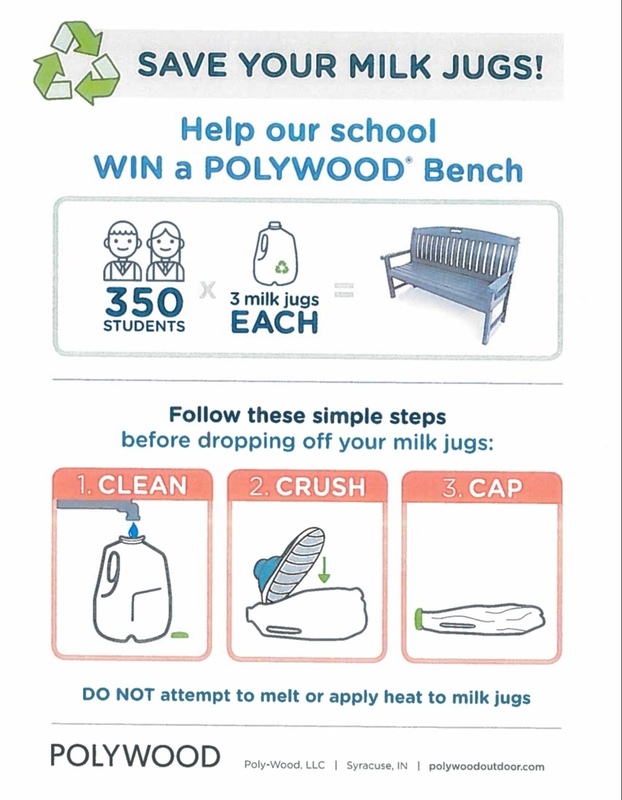 If we as a school collect 1000 milk jugs during February, Polywood will present us with a bench made from recycled milk jugs. If each student brings three jugs, we will have more than enough to earn a bench.Make sure the jugs are rinsed clean, crushed, and the cap is on. Bring them to Westview Elementary School and place them in the bins located on the sidewalk just outside the cafeteria. Please help us promote recycling during this February incentive to encourage the practice of recycling as an everyday discipline. If we all do our part, we will be taking positive steps toward a healthier earth.